Make a cranberry jam for brunch. Rather than making a cranberry sauce, try jam instead, to be served at Christmas breakfast alongside scones or freshly baked bread and biscuits. 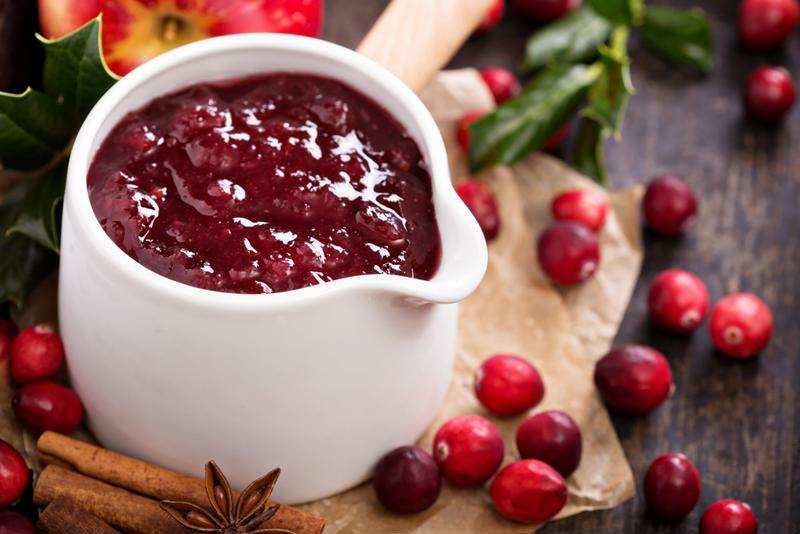 Serious Eats says that while this fruit is typically paired with citrus like oranges, stone fruits like peach, apricot or even nectarines also pair very well with cranberries in jam. Add some cinnamon and clove for a seasonal twist. When stored in the refrigerator, it’ll have a long shelf life, so you won’t have to feel guilty about having to throw food away after the holidays. If you make a large batch, you can even give jars as gifts! When we think about cocktail garnishes, defaults like cherries, lemon twists and olives come to mind. However, when you’re serving drinks during the holidays, there’s no reason not to add a little bit of festivity to the bar cart! There are a few options. Try infusing a bottle of vodka with the berries, make a punch, or just leave a bowl of cranberries near the bar so your guests can garnish their own drinks. Cranberries taste great in sparkling wine too, so you can also use them at your New Year’s Eve party! Cranberries are rarely used in desserts, which is a shame! These tart berries are a great option for cutting the sweetness of a traditionally sweet pie, like cherry or apple. They’re also a good alternative for dried fruits like raisins in cookies. If you’ll have a platter of desserts for your party, you should include at least one seasonal dish with cranberries. You can even dry the berries in the oven and put them in a sweet bowl of popcorn and chocolate for guests to snack on throughout the party.